Are you done with 2017 and already thinking about all the tasty beer you’ll drink in 2018? I can’t blame you. 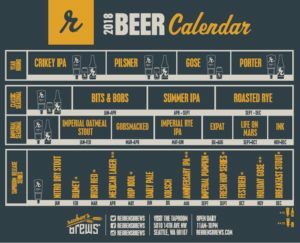 Reuben’s Brews is on the same page, and below you’ll find more info about the brewery’s 2018 Beer Release Calendar.